Many people barely develop self-discipline because of various reasons. It could be stress, lack of motivation, or exhaustion. However, despite these varied causes, there are ways one can successfully become a well-disciplined person. Self-discipline is not just about controlling oneself, but is about living a healthy, quality, and successful life. The best leaders know that the secret to successful leadership lies in earning the respect of the others; leading through fear will never provide your followers with the motivation they need to assist you in reaching any target. If you would like to build iron-like willpower and unshakable self-discipline...and do it even if you are (currently) lazy, undisciplined, and couldn’t motivate yourself out of a paper bag...then this audiobook will show you how. If you don’t want to go through that tiresome practice of going to the pharmacy and bleeding some money, find out what natural remedies can do to ward of your anxiety. In this audiobook, you will find out the different methods you can use to fight your battle with anxiety disorder. You will find steps that are very simple yet very effective to lower your anxiety levels. You will also find out in this audiobook the ugly truth about synthetic medicines and how natural remedies can genuinely help you out. How to get your ex to open up and give your relationship another chance. Getting your ex back isn't hard if you know the proper steps to take. Get Your Ex Back is a step-by-step comprehensive guide detailing the necessary steps it takes to get your ex back starting right now. This audiobook provides actionable steps for both men and women. Step by step methods provided!! Effective communication is a vital tool for any business owner. Your success is all about getting your point across. It can be the difference between landing a deal and losing out on a prospective opportunity. You should be able to clearly explain the firm's policies to customers and clients and also answer their questions about your products or services in a clear and understandable manner. You’re about to discover how to take back control of your body and emotions to make them do what you say, when you say it! Can I get a Hoo-Ya? This little but important guide will teach you everything you need to know for you to take back control. To experience more freedom in your life, you need more of the opposite: self-discipline. Does that sound paradoxical? All parts are clear and give thoughts that can be put to rehearse. It's an incredible introduction regarding the matter however regardless of whether you have perused books regarding the matter before this is a helpful asset since it systematizes the crucial ideas and thoughts!! This book spoke to me and addressed all my issues in a very direct and easy-to-understand manner. It helped me realize some of the patterns I follow and provided a way to get out when I get stuck.A very good book. This is the book that's needed when self motivation is required. It helps with pointing you in the right direction. I love how easy this book is to read, and how much helpful content Martin provides. I’ve read it several times now to refresh on all the great tips! Highly recommend this book. I loved it and recommend it!! Its a great book for body building. Learning approach. Providing learning content. Recommended. I finally learnt how to be more discipline! Looking forward to reading more of his books! I loved it and recommend it!! This applies to beautifully to fitness. We get so focused on the outcome instead of the process. 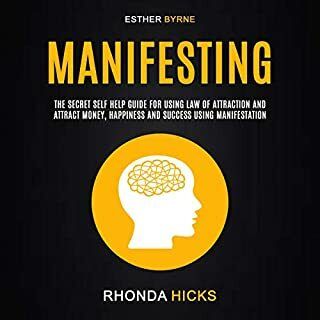 This book reminds you gently to come back to the moment and focus on your daily habits and create processes and systems that will bring you to your desired outcome. Very interesting and well thought out read. Lots of good stuff. I could tell right away that this was not some thrown together book by a wannabe writer. In fact have a number of Martin's books and enjoy them all! This book is very motivating!! 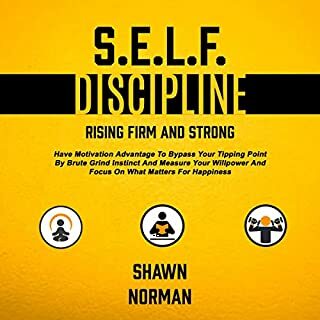 How to develop self-discipline is very challenging including sacrifice, this book helps motivate and inspire.Great read, to the point and pulls no punches, exactly what you need when you're lacking in this department!! I appreciate the brief consolidation of the key principles that make Navy SEALS successful. These ideas can be applied to many other daily situations.Short concise principles to keep in mind. I added it to my other library on Seal training. I read all the critical reviews and knew what to expect. A very useful guide to self discipline, giving lots of advice on how to beat procrastination and become more productive in your every day life.I really liked that the author not only presented theory but also important steps to achieving self-discipline. It definitely is a key component of success. One of my complaints when I read a medical book or a scientific report is the way it is written. Sometimes is boring and repetitive the information technical books provide. I like the structure of the book and how it starts of with beating your lack of motivation and procrastination. I like the explanation between intrinsic and extrinsic motivation and how each has an impact on how we approach exercise. Once a year listen !!!!!!!!! Excellent book for self - discipline. Lately they fight over every little thing and she knows a lot of it is her fault but she can't seem to control her behavior. She would take out all her anger from the workplace on him when she got home. She knows something needs to change and she been researching the web looking for answers. She has been considering asking John to consider adding domestic discipline to their marriage. Achieving a dream is something that is very difficult to accomplish especially if you are hindered by past disappointments and hurts. With the use of this guide, you will gain incredible self-confidence, willpower and motivation to achieve your dreams. I would say that reading this book is a great help for me in order to stay focused and be motivated enough to achieve my goals and improve my life. 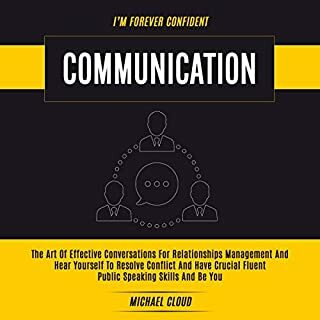 This book was absolutely amazing; I purchased the audio version and was able to listen to it everyday during my work commute. 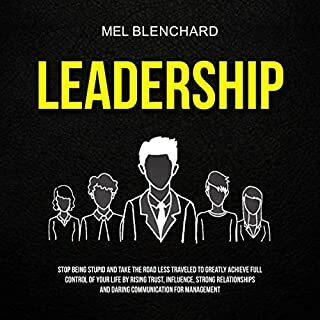 I especially loved how the book touches on specific areas to help develop discipline and after each chapter the author reviews the main take-aways. The tips are very realistic and worth trying out. I have improved my self-discipline so much since reading this book. Willard has a wonderful way of connecting the dots between the worlds of theology, philosophy, and practicality. This book really does get to the heart, or the spirit if you will, of the disciplines and why we must employ them if we want to truly change. Prepare to be both enriched and stretched. This book not only explained this phenomenen but gave some simple yet powerful insight into how change is possible. As elusive as self-discipline can be, I felt for the first time it’s doable. It’s a quick listen and I’m so thankful that I found this book. You really do have to do what it says though and perform every exercise, not just read the book. I sent a copy to my mother just recently, as she was commenting on some negative things in her life. I don't know if it will have the same impact for her as it did for me as I am combining this with a lot of other listen , exercise, and other modes of self-improvement, but I really feel this helped. I'd give this book 6 stars if I could. I highly recommend it to anyone who'd like to strengthen their resolve and get a bit more self-discipline in their lives. I've always been a goal setter, but my problem is that I'll switch gears half way towards accomplishing whatever goal I had set-- thereby not really accomplishing much at all. It's been a VERY frustrating character trait to contend with. This book has helped me to overcome that. starsEasy to Follow and Great Results!!! I really liked reading this book and couldn't put it aside before finishing it. It is an easy read, packed with useful and concise information. As I read through pages, I really felt motivated to start doing what I really wanted to do and ended up with a sturdy plan in mind. Some concepts are briefly explained without going much into detail but that's okay for the context of the book and can be further researched from other resources. Be sure to get the newest available edition! I really liked that the author not only presented theory but also important steps to achieving self-discipline. It definitely is a key component of success. I listen a chapter each morning. I find that best. That way you chew and digest one concept and have the time and space for it to soak in rather than trying to wolf it all down at once and overwhelm yourself. i Highly recommend this book, as it has easy to follow common sense advice that would help anyone with their goals of any kind. 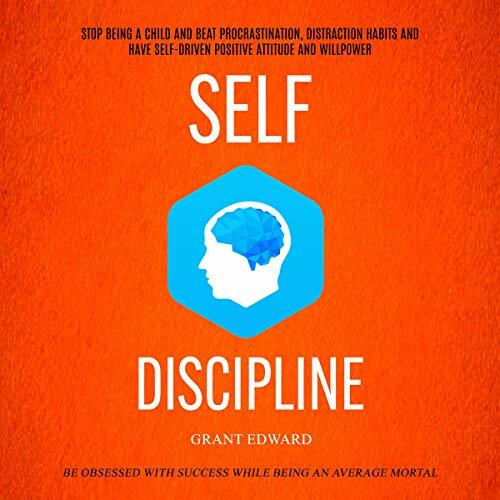 Grant Edwin has done it again by giving us a new secret key to unlock our self discipline very simply.Grant Edwin shows us how discipline can be adopted, practiced and strengthened every day. 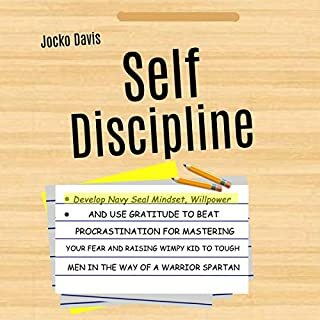 He explains how conquering discipline doesn't have to be a war - not even a struggle; how it's discipline that will get us what we want over the long haul; It starts by highlighting the keys to self-discipline. Then it discusses exercise, dieting and sleep. From there it shows how discomfort can help you cope with adversity and how awareness helps you achieve your goals despite setbacks, failures and distractions. Straightforward advice in a well written and easy to understand style. Key points are listed at the end of each chapter, which makes it easy to go back and review. I've started to incorporate the key messages into my life and it's really been helpful in building up a daily exercise and meditation habit When reading this book it's content will cause you to see yourself and reflect not only what you may have been doing incorrectly but also how to make changes toward more positive personal attitudes Ray Grant Edwin 's book "Self-Discipline" is a is informative guide. Self-discipline goes by many names—self-control, sense of self-worth, and self-drive. They all point to the same fact: this person is in charge of themselves and knows how to utilize their inner strengths to get what they want out of life. Many people wonder why self-discipline is so important. They wonder why they cannot just go on as they have been going on all this time, whirling around in their merry little unorganized lives. This is a terrific resource for entrepreneurs touching on something often overlooked in other books for those starting and running their own business - the master key to success - self-discipline. 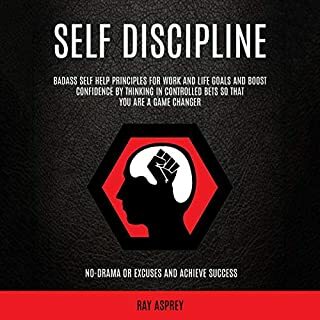 The author covers concepts and principles regarding self-discipline that are invaluable and may not have been learned even by those who have listen many other books on this topic.